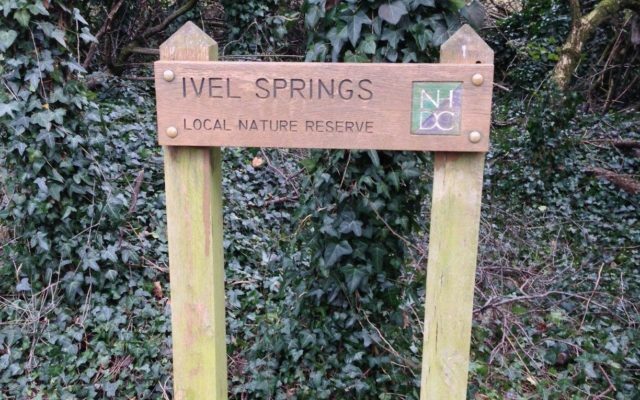 Looking for a local-ish walk today, we found Ivel Springs on the council's website. 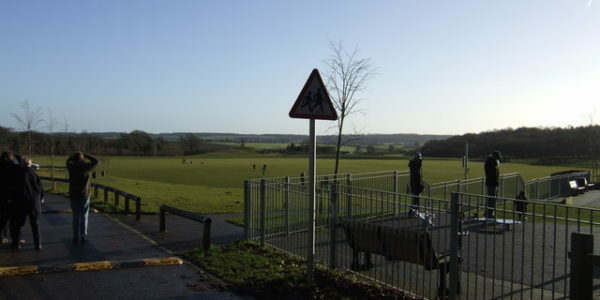 It's located on the very edge of Baldock in Hertfordshire, at the Bedfordshire border. If you've ever driven down the A1M and seen the big McDonalds Extra services, it's about five minutes from there. 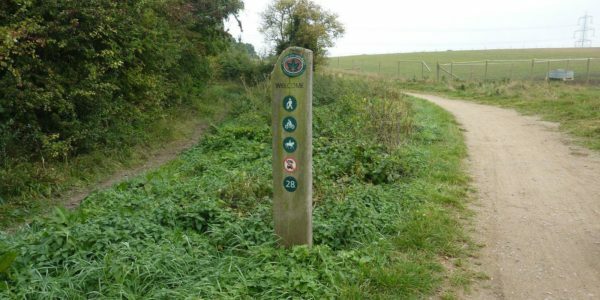 Drive down the North Road and keep an eye out for the small brown Ivel Springs Nature Reserve signpost, fairly high up on a lamp post. Follow the little road down to the car park, which is shared with the allotments. Parking is free, and there's space for about 10 cars, maybe more. 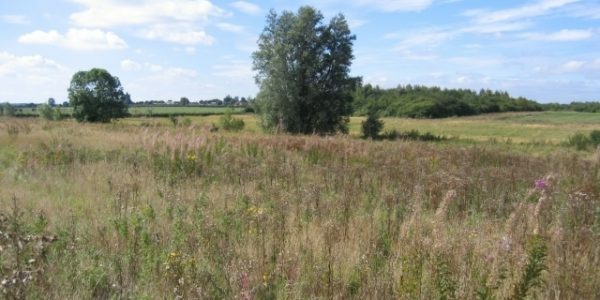 Once upon a time (Until the 1950s), Ivel Springs was the site of a landfill. After that, it was left to turn to woodland and meadow. We started our walk through the big gate, into the big, grassy meadow. There were a few other dogs there too, so our dog got to run around and make friends. Exit the meadow and follow the paths around - to the right it just heads back to the main road, so I'd head left. 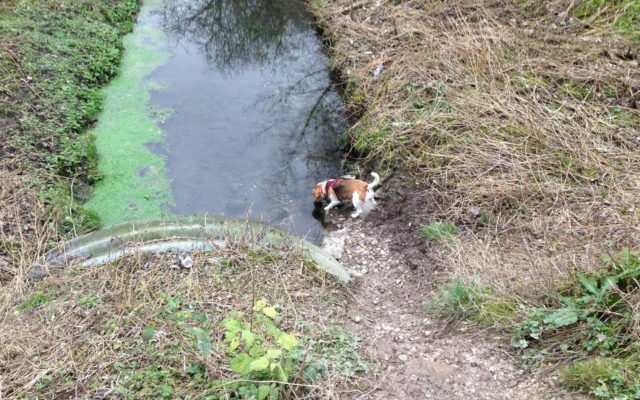 On your way, you'll stroll past a stables, some sort of scrap yard and marsh lands, but mostly it's just pleasant, flat paths with plenty of wildlife to look at. 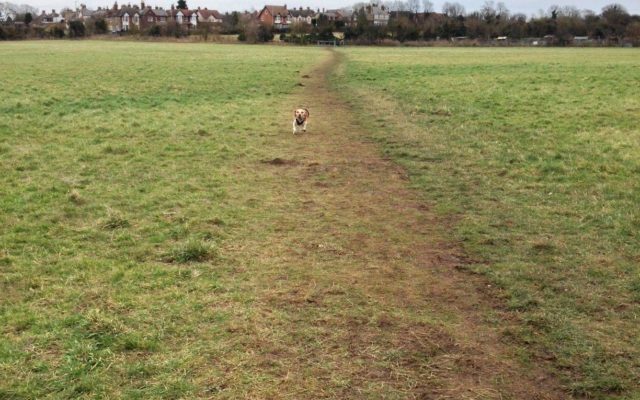 We didn't find the spring, but we did find a football pitch and stands which we could wander along. There is a little river which you can cross over, no more than a foot deep when we visited. Our dog jumped over the edge, and barrelled down the steep face to get to the water. It looked to be clean water though, so we weren't too worried. 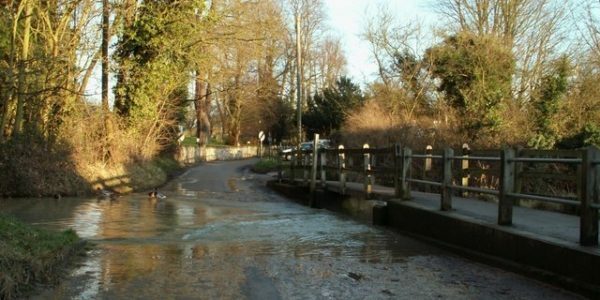 I wouldn't necessarily say it's entirely suitable for wheelchairs or pushchairs, especially not in winter, but it's easy walking. In winter, it does get a bit sticky and slippery underfoot on the muddy paths, so wellies are advisable if you're going after a rainy spell. There are benches to sit on, but not as may as the website would have you believe. 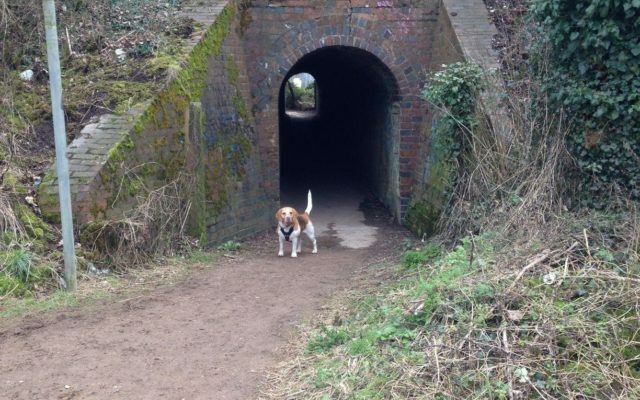 Be warned that there is only one poo bin by the car park, and a lot of lazy dog walkers have been through.